Chatterjea will celebrate the Fellowship during an ADT Fundraiser on Monday, April 11, at the Southern Theater, from 6:00 to 8:00 p.m. (For additional information, contact admin@ananyadancetheatre.org). 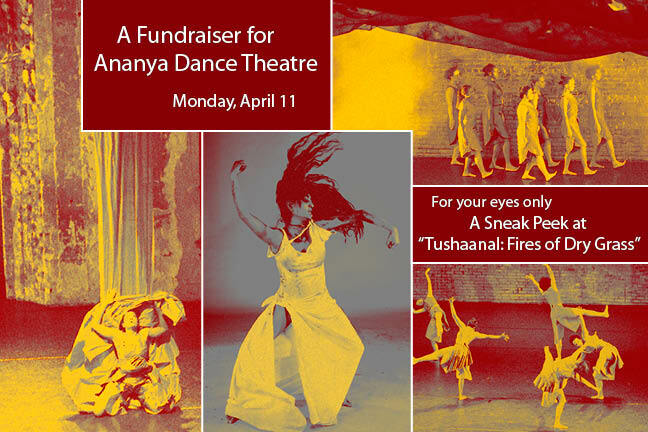 During the fundraiser, the company will perform an excerpt from the new work “Tushaanal: Fires of Dry Grass,” the second piece in a four-year anti-violence project exploring the experiences of women of color across the globe. The piece premieres at the Southern Theater in September. The fundraising event also includes a performance by Laurie Carlos, an excerpt from last year’s “Kshoy/Decay,” and a discussion of the singular choreographic technique Chatterjea’s developed to kinetically communicate with audiences.